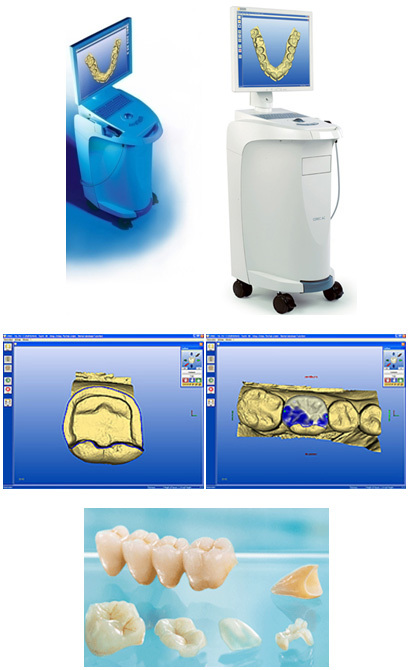 CEREC is a 3D computer-aided high-tech system that allows dentists to manufacture perfectly cavity-fitting ceramic restorations in the clinic without taking a conventional mould. The 3D computer software allows the dentist to take a digital scanning of your tooth cavity with an intraoral camera and go on to design perfectly fitting restorations. This allows 100% control of the accurate fit, correct contacts against adjacent teeth, and the chewing surface.